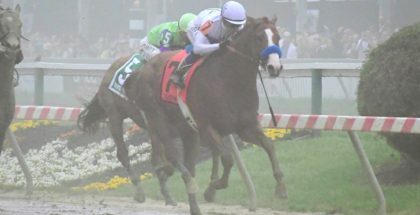 Kentucky Derby 144 is finally here and after months of prep races across the world, a field of 20 horses are set to enter the starting gate at Churchill Downs for the Most Exciting Two Minutes in Sports on Saturday, May 5. This year’s entrants are shaping up to be one of the strongest fields we have seen assembled in recent years. What a fun and challenging race this race is to handicap! 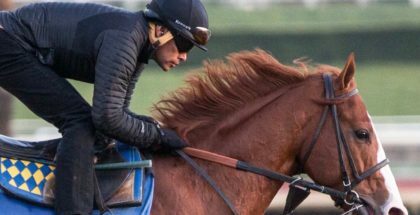 Justify, trained by Bob Baffert, is the morning-line favorite for the Kentucky Derby. Photo: Jim Safford. 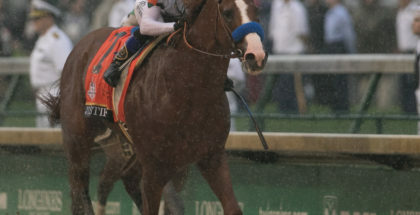 You could make a strong case for many of this season’s top point-earners, but the likely morning-line favorite in this year’s Run for The Roses is ninth in Derby point standings: Santa Anita Derby (G1) winner, Justify. The Bob Baffert trainee went wire-to-wire and held off hard-knocking multiple Grade 1 winner, Bolt d’Oro, in their final preps, and in the process earned himself the highest Brisnet and Beyer Speed Figures of any horse in the Derby this year — 114 and 107, respectively. 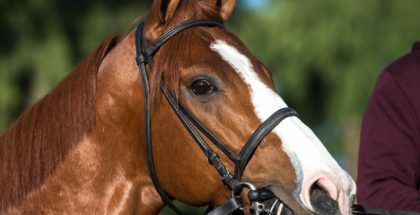 While Justify is undefeated in his three lifetime starts in less than as many months, his lack of experience gives plausible doubt to whether he will be worth betting as the post-time favorite. Let’s take a more in-depth look into the Top Contenders.